If the charity and government sectors are serious about ending community disadvantage in Australia we need to “move from being competitors to collaborators”, writes Kevin Robbie, CEO of United Way Australia. For those who watched the controversial SBS documentary series Struggle Street last year, it would come as little surprise that one in three Mt Druitt children will start school this week “developmentally vulnerable”. Or that these same families experience twice the national unemployment rates, and are up to four times more likely to experience domestic violence than the NSW average. What may surprise is that a NSW Government inquiry has just delivered recommendations that this same community has the answers to turn this around, and it’s high time we all listened. So concerned is the government about areas like Mt Druitt – where despite massive investments by government (ie you, the taxpayer) over decades, disadvantage is increasingly entrenched and complex – it commissioned a far-reaching inquiry last year into the labyrinth of social service coordination across areas of high social need in NSW. When the NSW Government Standing Committee on Social Issues investigated what’s going wrong (and right), they found an environment where charities and business vied for the same short term, competitive funding, worked in silos and duplication was not just the norm, it had (unintentionally) been encouraged by government contracts. But they also found change in one of the most unlikely of Australian suburbs. While Mt Druitt has had more than its fair share of media beat up, for the past 18 months an unusual collaboration there called The Hive, founded by charity (United Way), philanthropy (Ten20) and government (the Department of Family and Community Services) has instead drawn on the strengths of the local community, often seen as in need of “fixing”. Families were asked about the issues affecting them. It sounds obvious before starting any social service initiative, right? Not so. One local mother told us despite two early childhood organisations knocking on her door (offering services she didn’t need), she couldn’t get the help she was so desperate for to respond to her daughter’s special needs. That only came after the mother was incorrectly reported for child abuse, leaving her wondering if that’s what it took to be heard. Parents said it’s hard to navigate the complex service system and they aren’t involved in the design of programs affecting them. They want their children to shape their own futures – and achieve their dreams. Just like you. Local service providers, passionate about the region, said they too saw the need to better coordinate. The magic bullet to end the cycle of disadvantage in Mt Druitt isn’t more funding. What’s needed is support for genuine collaboration between all who are invested in and impacted by the issues identified by the community. And despite the odds, it’s exactly what’s starting to happen in Mt Druitt. Why? Because The Hive is a process for working with others, which turns competitors into collaborators – not another program. The NSW Standing Committee delivered radical recommendations to government in December, including mandating community involvement in all aspects of program design and delivery, and real collaboration between organisations. Not just meetings, but working together, long term. Unlike building a bridge or skyscraper, where around 20 per cent of budget is devoted to planning and coordination (to ensure the whole thing won’t fall down), it has been assumed this magically happens in the social sector. Instead, dedicated funding and effort for “backbone” coordination has been seen as somehow diverting resources from “community”. The NSW Government is now considering its own Standing Committee’s wide-ranging recommendations. If it accepts them in full, including expanding The Hive’s approach to another five areas of high social need in NSW, we believe this will provide the platform for a leap forward in tackling entrenched disadvantage in Australia. Having limited opportunities in life is a stark fact of life for thousands of children starting school this week in Mt Druitt, but there are signs it’s finally changing. This change is being led by the community themselves, supported by a coordinating body – something mandated for infrastructure, but shied away from when building communities that children can thrive in. If we’re serious about ending community disadvantage in Australia, we need the radical reform suggested in these recommendations. We need to move from being competitors to collaborators. We need to start early in life, to genuinely work together with the people we serve, and we need to start now. 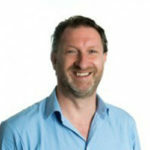 About the author: Kevin Robbie is CEO of United Way Australia, a Not for Profit organisation focused on developing collaborative approaches to tackle community disadvantage and improve outcomes in education, income and health. Prior to joining United Way in June 2015, Robbie was Executive Director at Social Ventures Australia, leading their work in venture growth, social innovation and social enterprise development. Originally from the UK, his 20 year career in social change includes being Chief Executive of Forth Sector and acting as an advisor to the UK government.